'I need a wife.' It's a common joke among women juggling work and family, but it's no joke. Having a spouse who takes care of things at home is a Godsend on the domestic front and an asset on the work front, and is an advantage enjoyed by vastly more men than women. 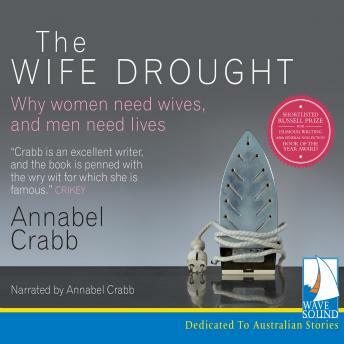 Full of candid and funny stories from politics and the media, The Wife Drought shares intriguing research about the attitudes pulsing beneath the surface of egalitarian Australia.